Competing with horses during the summer can be a pain, not to mention dangerous for both horse and rider. High temperatures, especially when combined with high humidity can easily cause death due to dehydration or heat stroke. The key to staying healthy is planning and preparation. Bringing a cooler filled with water is only a small part of planning for hot weather shows and rodeos. Good solid preparation actually starts several days before and includes a lot more than water. If you normally don’t drink enough water, drinking water the day of your event may not be sufficient enough to keep you hydrated. If you’re already at a deficit, it will be much harder to re-hydrate your body once you get hot and over-heat. It’s a good idea to start loading up on water at least a day or two prior to make your body is sufficiently hydrated. While I’m not a fan of sugar, I do believe some sports drinks can be beneficial due to added nutrients like potassium, sodium, and magnesium which help with muscle function. Be sure to compare sugar levels, and other ingredients like artificial sweeteners when choosing a sports drink. Also, some brands of water such as Smart Water and others, have electrolytes mixed in. Just like loading up on water a few days ahead, it’s also a good idea to load up on good nutrition as well. Eating enough protein and fat will help stabilize your blood sugar and keep your energy levels up. The day of the competition, you’ll want to make sure you eat an adequate breakfast to keep you going throughout the day. Even though food may be available at the event, take the extra time to pack some snacks that will help to fuel your energy levels. Nuts, jerky, protein bars and shakes are all easy options to take along. Whatever you decide to bring, make sure it’s packed full of protein and is as natural as possible. Just a personal belief of mine, but I think that conditioning to the heat is as important as conditioning our horses. If we sit around under the air conditioning all the time and then wait until the coolest part of the day to ride, we’re not going to be prepared if we have to ride our horses in the middle of the day. 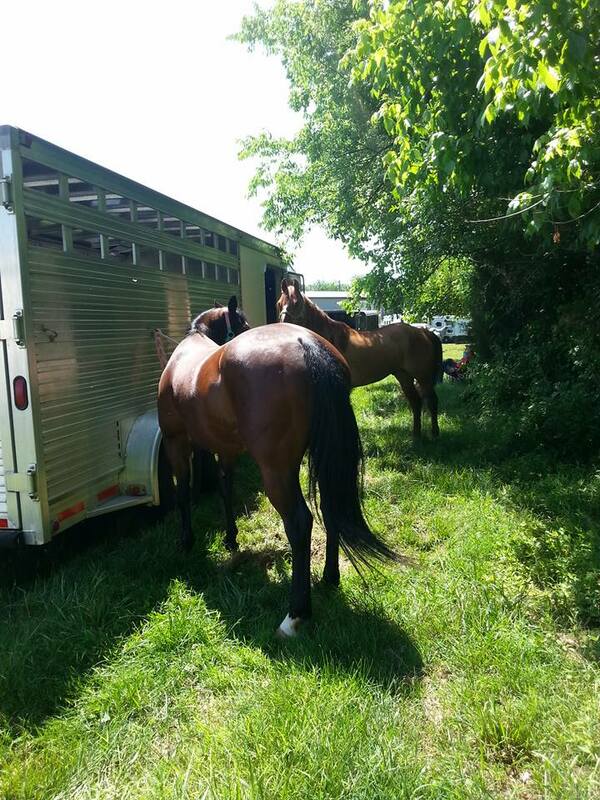 You don’t want to put you or your horse at risk by riding hard when it’s too hot to ride, but at the same time you don’t want to always wait until it’s the coolest time of day to work your horses. Small things driving home with the window rolled down, or spending more time outside can help. Some common sense and progressive exposure will go a long ways towards building some heat tolerance. With some planning and preparation, you can make your show or rodeo season go a lot smoother. 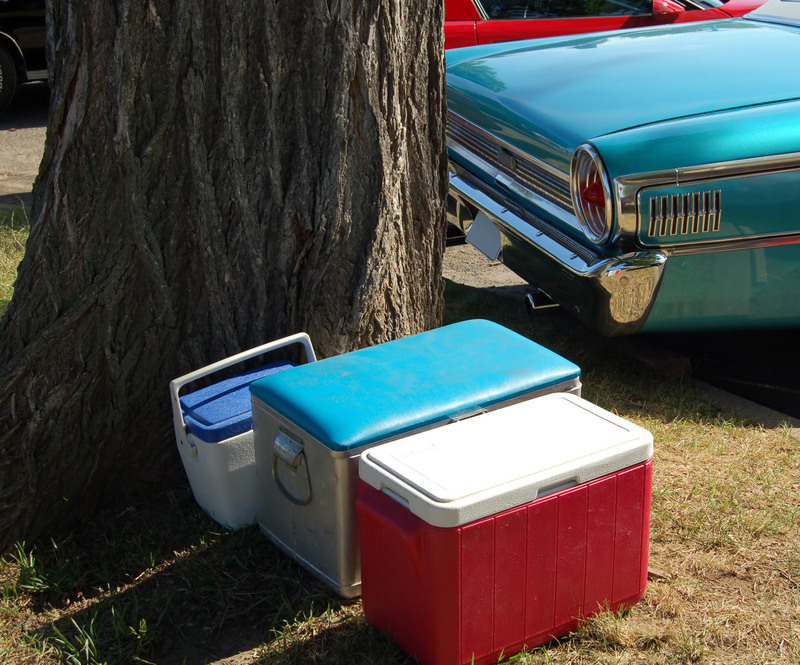 By taking the time to eat well, loading up on liquids, and conditioning yourself to the heat, you’ll have a better chance of enjoying your event safely. What are some things you struggle with during summer time rodeos or shows? What steps have you taken to beat the heat?